ALL ABOOT THE DRAM – it’s not rocket science. Other countries produce whisky (or, whiskey) but it is Scotch whisky that has caught the world’s imagination, resulting in an industry that today supports over 40,000 jobs across the UK (including ours); each year adding £5bn or more to the UK’s taxes; and contributes almost £4bn to the UK’s balance of trade. Legally Scotch whisky within the UK the rules are set out in The Scotch Whisky Regulations 2009 (SWR), which came into force on 23 November 2009. Under the terms of the SWR, Scotch whisky has to have been distilled at a distillery in Scotland, matured in Scotland for a period of not less than three years and one day (leap years) in oak casks of not more than 700 litres with an alcoholic strength by volume minimum 40%. There are five categories of Scotch whisky. (a) Single malt Scotch whisky is whisky produced in pot stills at a single distillery. (b) Single grain Scotch whisky is produced at a single distillery in Scotland, in addition to malted barley, grains of other malted or unmalted cereals can be used. (c) Blended malt whisky is a blend of two or more single malt Scotch whiskies from different distilleries. (d) Blended grain whisky is a blend of two or more single grain Scotch whiskies from different distilleries. (e) Blended Scotch whisky is a blend of one or more single malt Scotch whiskies and one or more single grain Scotch whiskies. In the labelling, the category of whisky must be shown, and a distillery name may only be shown on Scotch whisky that has been wholly distilled at that distillery. Where an age description is used on a label (i.e. 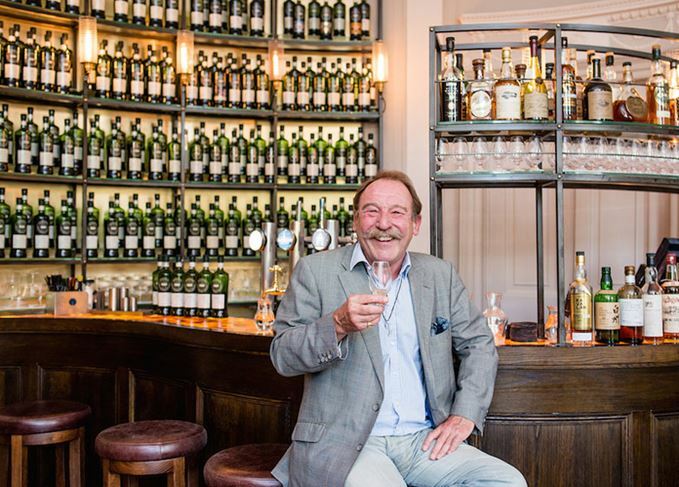 “aged 10 years”), that must be the age of the youngest Scotch whisky in the bottle, the term “pure malt” is banned from labels – but Paul does have a bottle of Cardhu Pure Malt. Most single malt Scotch whisky is sold at a strength of between 40% and 45% alcohol. However, whiskies that are not diluted at all and are sold at “cask strength”, i.e. they are bottled at the strength at which they come from the cask. All malt Scotch whisky is matured in oak barrels that are second-hand: that have been previously used to mature some other alcoholic drink somewhere in the world. As a result Scotland is the destination of a constant flow of empty and dismantled bourbon casks from the USA, sherry and port casks from Spain, Burgundy and Claret casks from France, to name just a few, Edradour to my mind is a world leader in experimentation, love this distillery and the drams that emerge from it. 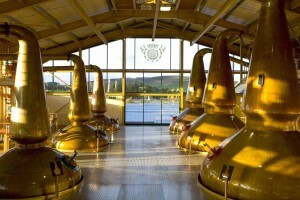 The process of making malt whisky has the same stages wherever in Scotland it is made. Many distilleries do not have maltings, preferring to buy their barley already malted from one of the very large industrial maltings that now are available. 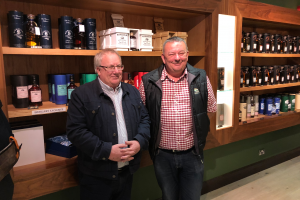 The best way of understanding the process is to book with MCLEANSCOTLAND on a bespoke whisky tour, they will take you to various distilleries, offer masterclasses, whisky schools and tastings – they have many industry experts working with them, many of them friends. With a team of 8 driver guides, plus Liz and Paul, you are in the best of hands, no matter if you know it all (no one knows everything) or just starting out, their tours are an education, fun and very more ish.